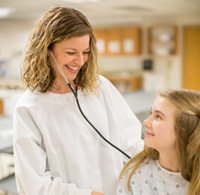 You will be ready for one of today's brightest career paths when you earn a BS in nursing. In 1995, a project called Partners in Nursing (PIN) at Cedar Crest College was launched with a mission to support activities to enhance the education of nursing students at the undergraduate and graduate levels, promote the professional growth and development of nursing faculty and encourage interdisciplinary initiatives on and off campus. Scholarships, recognition awards, lecture series, equipment and other material for nursing education are among the benefits to be provided by the Partners in Nursing. Today, the PIN Endowed Scholarship fund is greater than $70,000 and a PIN general fund has been established. An anonymous graduate of the nursing program generously gave back to Cedar Crest College nursing students by donating enough money to fund the cost of a nursing pin for each graduating senior. Pinning ceremony, which took place before Commencement on Saturday, May 12, is a special tradition at Cedar Crest College. In the past, students have had to purchase their own pins, an expense that not all students can afford. Last year, the College was able to fund the cost of pins for all students, and this year's anonymous donation covered the expense. You can pay forward the act of kindness above for next year's graduates. A gift of $40 funds the cost of a pin for one student and continues the special tradition unique to graduates about to embark on their nursing careers. Click the button below and select "PIN General Fund" from the designation. Contact Institutional Advancement with questions at 1-888-902-3327 or advancement@cedarcrest.edu. Starting in 2016, Cedar Crest College has recognized the achievements of outstanding nursing alumni who demonstrate the ideals of CCC Nursing through their varied contributions and who have distinguished themselves in one of six categories: Award for Transformational Leadership, Award for Nursing Education, Award for Clinical Practice, Notable Graduate of the Last Decade, Global Citizen Award, and Spirit of Compassion Award. 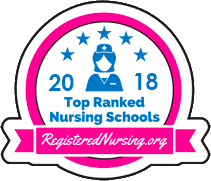 Added for 2019 is the Award for Nursing Research/Evidence-based Practice. Nominations may be made by anyone associated and familiar with Cedar Crest College Department of Nursing and/or its Graduates (i.e. alumni, faculty, students, community members) and will be accepted from April 1 – May 15. The PIN Committee determines the awards given each year and at their discretion, designated awards may not be given. Awards will be presented to alumni at the August Pinning Ceremony.